Holi Special: What Colours signifies in Income Tax Act, 1961 Colours represent Vibrancy in Holi Festival…But in Income Tax Act, what do they signify??? Colours represent Vibrancy in Holi Festival…But in Income Tax Act, what do they signify??? 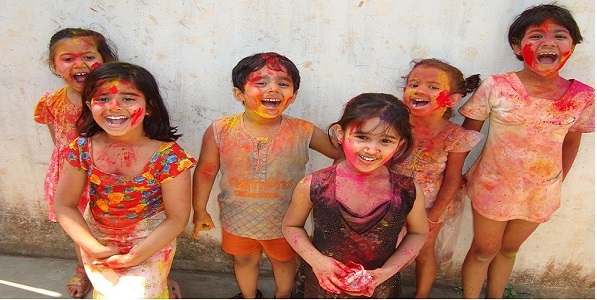 The Festival of Holi is unthinkable without colours. The use of colours by way of different devices like pichkaris, balloons, pumps, and even buckets, constitutes an essential ingredient of a vibrant, joyful and blissful Holi. However, in Income Tax Act, the expression, “colourable device”, is being looked at, in an altogether different manner. “We may in this connection usefully refer to the judgement of the Madras High Court in M.V. Vallipappan and others v. ITO, which has rightly concluded that the decision in McDowell cannot be read as laying down that every attempt at tax planning is illegitimate and must be ignored, or that every transaction or arrangement which is perfectly permissible under law, which has the effect of reducing the tax burden of the assessee, must be looked upon with disfavour…..
With these landmark judgments, a well settled legal position regarding the re-enforcement of the legal sanctity of the “legitimate tax planning” as against the “use of colourable devices for illegitimate tax evasion”, was emerging….. BUT WITH THE ADVENT OF GENERAL ANTI AVOIDANCE RULES (GAAR), THERE WILL BE A PARADIGM SHIFT IN THE TAXATION REGIME & AGAIN A PANDORA BOX OF LITIGATIONS WILL OPEN UP…. A new Chapter X-A, containing sections 95 to 102, has been incorporated, in the Income Tax Act. After its deferment in a couple of Finance Acts, finally, it has been made applicable w.e.f. AY 2018-19. In simple words, under the GAAR regime, any arrangement, the main purpose of which is to obtain a tax benefit and which lacks commercial substance, would be considered as an impermissible avoidance arrangement. Applicability of General Anti-Avoidance Rule. 95. (1) Notwithstanding anything contained in the Act, an arrangement entered into by an assessee may be declared to be an impermissible avoidance arrangement and the consequence in relation to tax arising therefrom may be determined subject to the provisions of this Chapter. Arrangement to lack commercial substance. “Consequences of impermissible avoidance arrangement. The legislative intent behind the introduction of an altogether new Chapter X-A, containing the GAAR provisions, has been to curb the use of colourable devices facilitating tax evasion. However, a lot of subjectivity had been crept in the manner in which the text of sections 95 to 102, had been drafted. The denial of tax benefit in an impermissible avoidance arrangement aimed at tax evasion, is completely justifiable. However, the most significant and crucial aspect, i.e. what would constitute an impermissible avoidance arrangement, has been left to subjective whims and fancies of the Assessing Authorities. A plain reading of the above stated GAAR provisions, makes it amply clear, that very Bottom of Formwide & unfettered powers have been given to the Assessing Authorities, to completely disregard the legal form of any arrangement/transaction, and to look into the substance of the transaction, to pierce the corporate veil, to treat capital receipts as revenue receipts, and to treat any arrangement as an impermissible avoidance agreement, assuming it to be lacking commercial substance. In order to put a suitable check on the blatant & adhoc application of the GAAR provisions, which might be widely used, to make exorbitant additions in assessments, suitable amendments must be incorporated in the concerned sections, so as to provide a standard and objective set of determining factors and parameters, with a view to ensure the judicious and rational application of the said provisions, in order to avoid the foreseeable unreasonable and high-handed approach to the assessees. Then only, in true spirit and form, the Governments’ objective of ensuring “Ease of Doing Business” will be accomplished. Company: Sushil Jeetpuria & Co.
Is GST applicable on Naturopathy, Ayurveda, Yoga, Siddha, Unani & Homeopathy Based Medical Treatments?